The Roasted Pumpkin Salad With Tarragon (Paleo, Whole30, Low Carb) is the perfect side which would make your Christmas meals complete. Peel and clean the pumpkin and cut it in small pieces about 1 cm big. Place the cut pumpkin on a greased baking tray and sprinkle it with salt and pepper. Spray the squash lightly with oil and place the tray in preheated oven on 200°C for 10-15 minutes (until the pumpkin is soft, but not overcooked). Take the tray out of the oven, transfer the pumpkin in a big bowl and let it cool. In the meanwhile crisp the bacon. You can use a frying pan if you prefer or make the bacon in the oven while it's still hot. I used the same baking tray and put the bacon in the oven for 10 mins. Let the bacon cool a little and cut it in small squares. 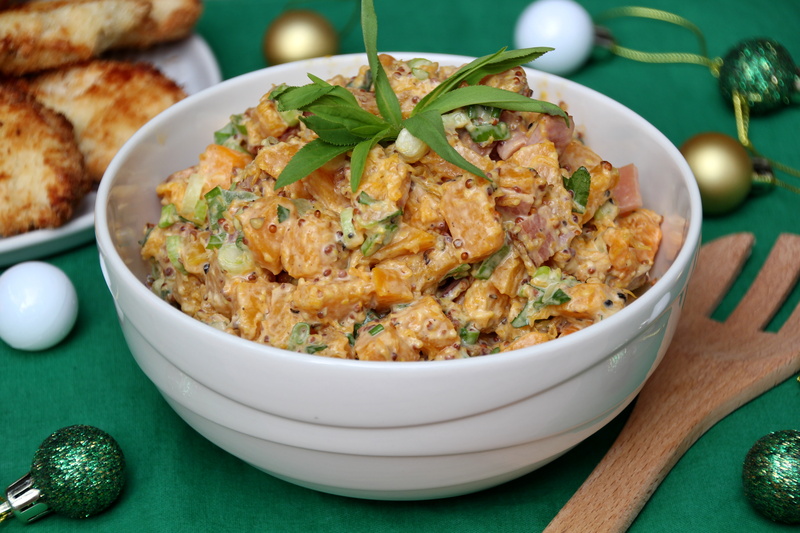 Add the bacon to the bowl with pumpkin and add the chopped green onions, tarragon, mayonnaise, both of the mustard and cracked pepper. Mix everything together with a big spoon. Let the salad cool in the fridge for at least two hours before serving, so the flavours have time to combine and develop. 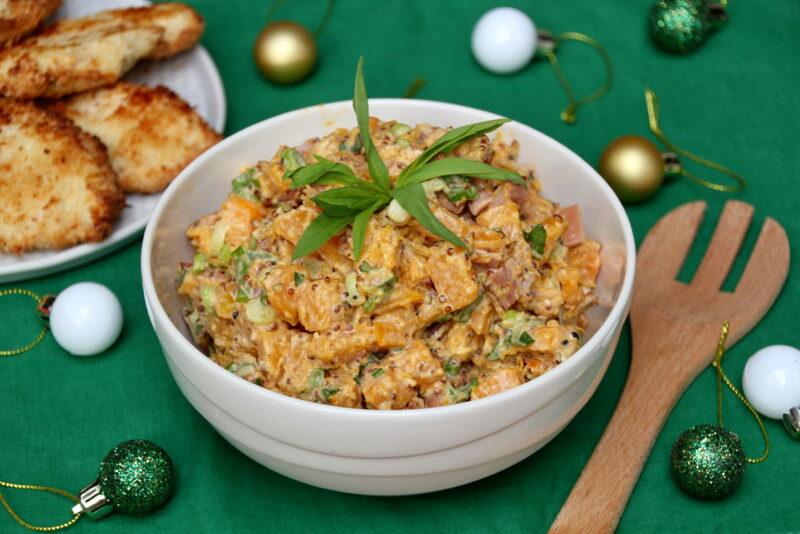 If you are looking for more Christmas recipes, don’t forget to visit the Christmas And Holidays category.